The late Jeffrey Butler, professor of history, emeritus, is the author of Cradock: How Segregation and Apartheid came to a South African Town, published by the University of Virginia Press, December 2017. Richard “Rick” Elphick, professor of history, emeritus, co-edited the book with the late Jeannette Hopkins, a former director of Wesleyan University Press. 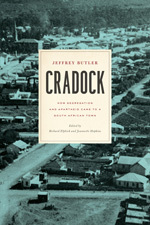 According to the book’s abstract, Cradock, the product of more than 20 years of research by Butler, is a vivid history of a middle-sized South African town in the years when segregation gradually emerged, preceding the rapid and rigorous implementation of apartheid. 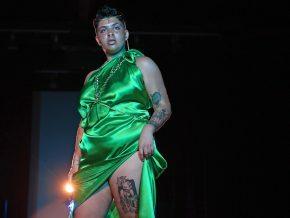 Although Butler was born and raised in Cradock, he avoids sentimentality and offers an ambitious treatment of the racial themes that dominate recent South African history through the details of one emblematic community. Augmenting the obvious political narrative, Cradock examines poor infrastructural conditions that typify a grossly unequal system of racial segregation but otherwise neglected in the region’s historiography. Butler shows, with the richness that only a local study could provide, how the lives of blacks, whites, and mixed-race individuals were affected by the bitter transition from segregation before 1948 to apartheid thereafter. 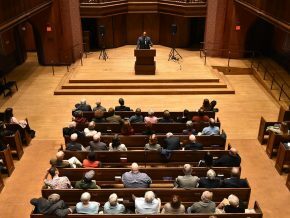 After serving in World War II, Professor Butler completed doctoral studies at Oxford University and came to the United States in the late 1950s. He joined the Wesleyan faculty in 1965 and served with distinction until his retirement in 1991. He was twice chair of the History Department and was a key member of the College of Social Studies. In 1977, Butler was a founder and subsequently a director of the Yale-Wesleyan Southern African Research Program. Butler had a major stroke in 2001 and died in 2008. He was an esteemed historian of southern Africa. He’s also the author of The Liberal Party and the Jameson Raid. After his death, Butler’s good friend and colleague Rick Elphick volunteered to take on the extraordinary work of getting the book in shape for publication. The process took nearly a decade. The Wasch Center for Retired Faculty will host a book signing party and honor Elphick for his efforts from 4 p.m. to 6 p.m. Dec. 2. The event will be preceded by the dedication of a bench on campus in memory of Val and Jeffrey Butler. Butler’s children, Katy, Peter and Jonathan also will be present for the party and bench dedication. 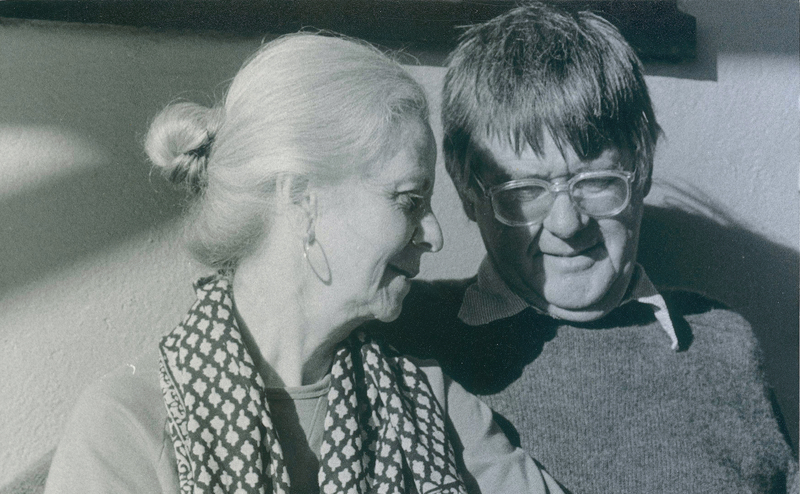 Valerie de la Harpe Butler and Jeffrey Butler, pictured together in San Francisco, Calif., 1986.